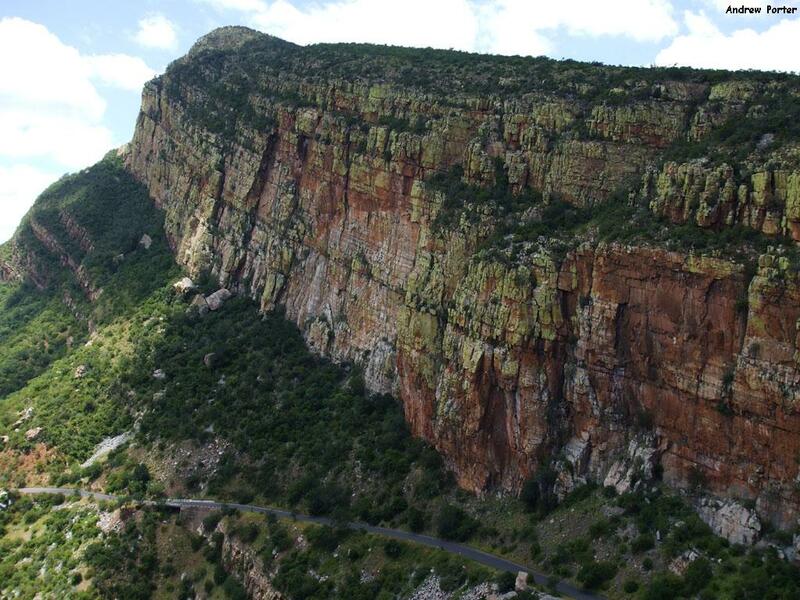 Brief summary of venue Manoutsa offers over 100 traditional climbs on rock of excellent quality with very good gear placement. 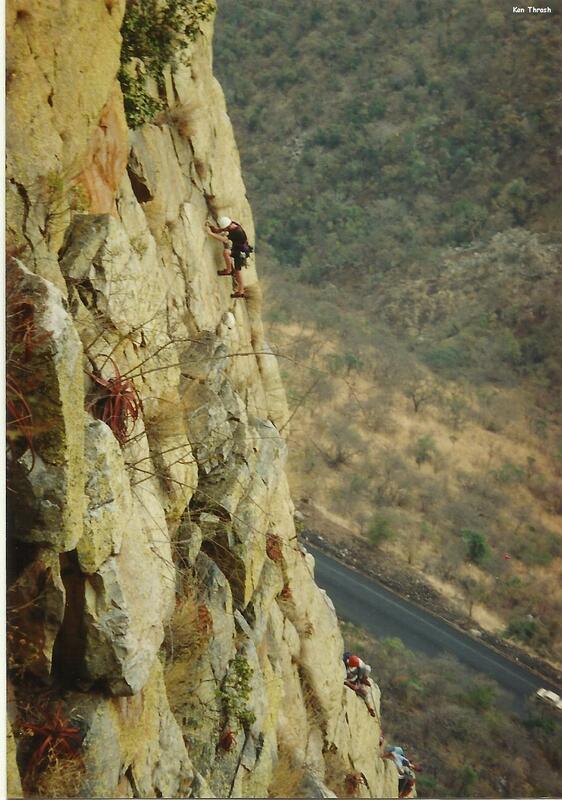 Routes are between 5 to 7 pitches with stunning views of the Lowveld. 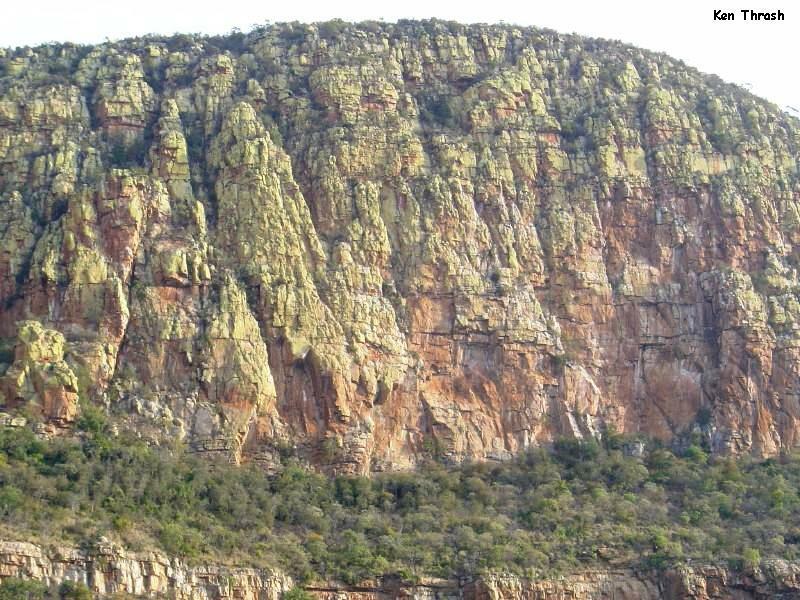 The climbing area is upstream of the Strijdom Tunnel on both sides of the road that leads down the escarpment towards Tzaneen. The difficult nature of both path and route finding means that MCSA meet participants have an ideal opportunity to familiarise themselves with the area. Permit/ permission info None required. Approximate travelling time from Johannesburg About 4 hours. Parking information There are a number of climbing areas, each with its own parking arrangement described in the route guide. It’s usual to pay a parking fee of R30 (2012) to a home owner or a fruit stall owner at the end of the day for keeping an eye on your car. Info on walk in Walk-ins can be hot and paths difficult to find. Descent gullies are often rough going and can involve fighting through vegetation. Going with someone who knows the area, particularly on MCSA meets, is the best way to find your way up and down. Accommodation The nearest accommodation (a few kilometres away) is at the Manoutsa Holiday Resort, where both camping and chalets are available - see below for contact details. 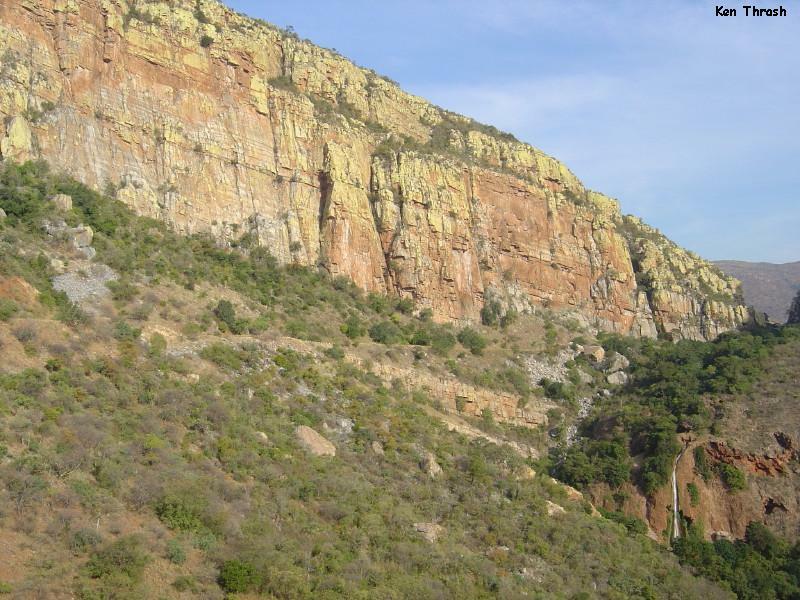 Availability of water for drinking Climbing at Manoutsa is an all day, and often very hot affair. Water from the Olifants River is Bilharzia infested so unsuitable for drinking. Bring sufficient water for a hard and hot day’s outing. Climbing information The 120 plus routes at Manoutsa are all traditional, between 5-7 pitches in length, and between grades 11 and 23. The rock quality is generally excellent, with very good gear placement, making it an ideal venue for intermediate to advanced leaders to hone their gear placement skills. Manoutsa is North facing, which makes it extremely hot in Summer, but ideal in Winter. Paths to the routes can be difficult to find, while the walk-offs are long and steep - taking up to two hours, so make sure you have enough water and food for a full active day. Swimming No – the nearby Olifants River is bilharzia infested. 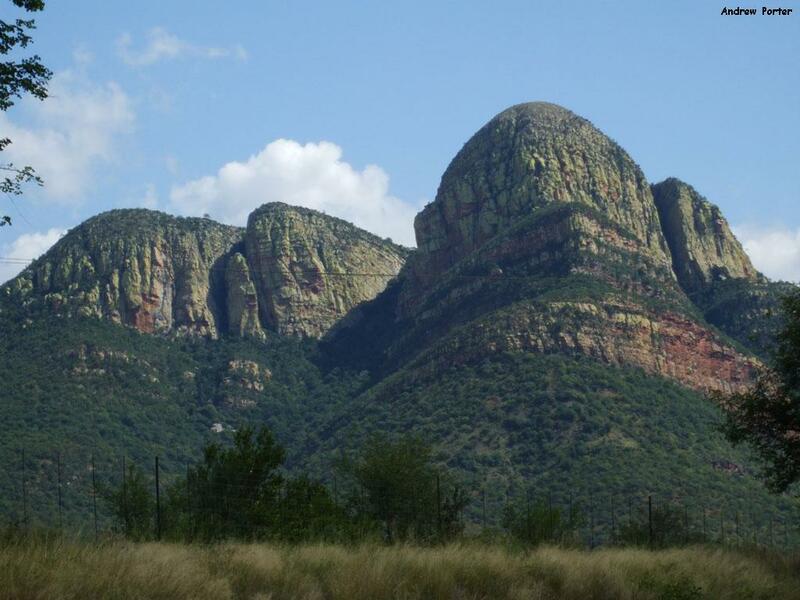 Other attractions Excellent views of the Lowveld. Dangers The greatest danger is dehydration while climbing in the hot Summer sun. Make sure that you have sun block, head cover, and sufficient water for the day.